Tyler can’t wait for his second semester of college! High school seniors usually spend the months before graduation gearing up for college or a job. It’s both an exciting and daunting time. That’s exactly how Tyler was feeling when his life took a turn he could have never expected. Tyler was diagnosed with osteosarcoma at just 19 years old. He was two months shy of graduation. 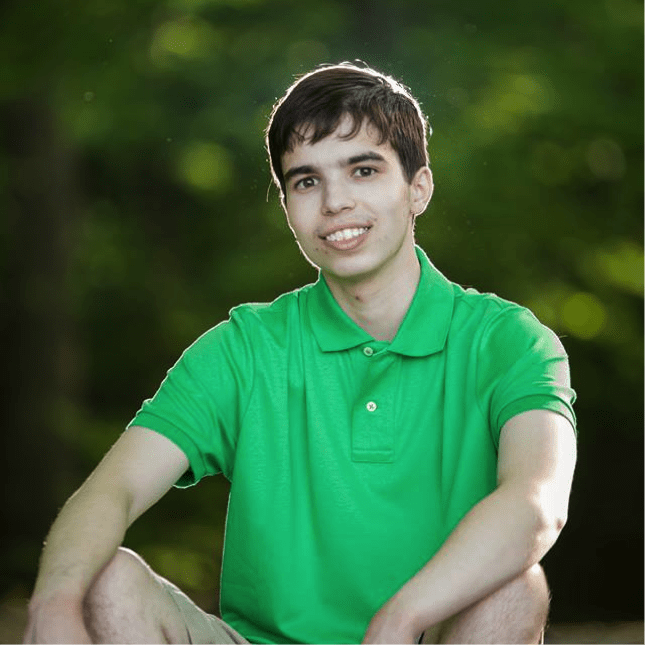 Instead of pursuing his passions, Tyler began months of treatment and surgeries that resulted in many complications. Tyler’s diagnosis brought many financial hurdles in addition to the health ones. He was living with his parents and two brothers in Virginia at the time. Tyler’s mom, a nursing home employee, and dad, a pastor, took turns staying by his side during the many long hospitalizations. The family struggled with significant income loss due to so much missed work while they cared for their son. They constantly worried about how to pay the rent and keep a roof over their heads. Despite all of this, Tyler and his family remained hopeful and united. The generosity of Family Reach’s supporters allowed Tyler’s family to receive a grant covering their rent payment. This lifted the stress off of their shoulders and allowed them to focus on Tyler’s health. Tyler has since finished treatment and is making incredible improvements! He is excited to begin his second semester at Auburn University, where he studies software engineering.